The problem with conducting an exit interview is you can’t have an interview with someone whose opinion you do not value. If your problematic production manager resigns and you conduct an exit interview with him/her and he/she tells you the problem “with this place” is that (for example) “the company production goals are unrealistic and will never be attained,” all the while you had previously regularly attained those goals, the exit interview yields no valid, usable data. Nothing of value comes of it. In this type of business, I haven’t seen an exit interview of this type that yields usable information. So, what am I getting at here? We lose employees but we also lose customers. Do we know why? Do we ask? Do we do exit interviews with them? I recently terminated two different subscriptions. I was interviewed for one of them (I initiated it), but not the other, although I wish I had been. Let me tell you about them. I think that you will understand the value that these stories have in your business. 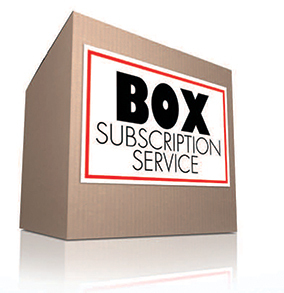 About two years ago, I started receiving subscription boxes called Gentleman’s Box. It was Christmas every month! I loved it! Month after month, I would get all sorts of goodies. Socks, sunglasses, pocket squares, tie-tacs, neckties, cufflinks, and much more. There were always socks and a necktie and three or four other things in there. This went on for about two years. About four or five months ago, my credit card was compromised so Gentleman’s Box could not process my shipment. They called me for a new credit card number. They did not call me to conduct an exit interview, but I turned it into one. I told them that it was time to take a break because I had enough socks and neckties. I told them that if they changed their format whereby the boxes no longer alwayscontained socks and ties, I would re-subscribe. Do not trivialize the value of this information! I hope they did not! I have 4 pairs of socks in my sock drawer right now that are still in their original packaging. I love Gentleman’s Box but we no longer dovetailed perfectly. If you no longer dovetail with your customers, you need to know today so you can adjust accordingly. This is vital. I hope they tweak their format and let me know immediately! I was an early adopter of the meal kit concept. You may have heard of them. Once per week, you get a box of carefully measured groceries for three to five specific recipes along with the instructions to cook them like a professional. Great food and great recipes. Very convenient. I did this for about a year and then quit abruptly. But I abruptly stopped. Doesn’t Home Chef, who surely must have considered me to be a good customer, wonder why? If they did not know, shame on them for poor database mining! They must learn who their customers are, what they like, and what they don’t like. Never make the mistake of assuming that what YOU like is definitely what your customers like. About a year ago, I went on vacation and skipped a couple of weeks and never resumed. They never called me. They never sent me an email to ask me what’s up. No exit interview. Surely, they would respect my opinion! I got nothing. They could have made more money, I think, if they had asked me why I quit them, but they never bothered to ask. So why did I leave? Portions were too large. Portions for 2 where a little too much for three people. That’s it. They could have kept me by sending me less, but they never bothered to ask! I know that if Henry Ford had asked the people what they wanted, they would have said that they wanted a faster horse. True enough. But he would have known that they were not happy with what they had. For the record, Henry Ford did not invent the automobile, did not invent the assembly line, did not invent the concept of interchangeable parts and he never asked that question. But he knew what his customers wanted. He did not ask them as legend suggests. But he did listen to them.